Nicole "Nikki" Yanofsky (born February 8, 1994) is a Canadian jazz-pop singer-songwriter from Montreal, Quebec. She is best known as the vocalist of the Canadian CTV theme song for the 2010 Winter Olympic Games, "I Believe". She performed Canada’s National Anthem at the Opening Ceremonies of the 2010 Winter Olympic Games in Vancouver, British Columbia. She also performed as part of the Closing Ceremonies and the 2010 Winter Paralympic Games Opening Ceremony. Yanofsky performed internationally at jazz festivals and major concert venues both solo and alongside artists such as Herbie Hancock, Quincy Jones, Stevie Wonder, Wyclef Jean, Celine Dion, the late Marvin Hamlisch and The Count Basie Orchestra. Yanofsky had three releases; Ella...Of Thee I Swing (Live DVD/CD - 2008), Nikki (CD - 2010) and Live in Montreal (Live DVD - 2010). Her second studio album is currently in post-production. September 2013 saw the release of her single and video "Something New" executive-produced by Quincy Jones. Yanofsky recorded the Ella Fitzgerald classic "Airmail Special" for Verve Records and it was released in June 2007 on the album We All Love Ella: Celebrating the First Lady of Song. Produced by Tommy LiPuma, this track made Yanofsky the youngest singer ever to record for Verve. Yanofsky then recorded "Gotta Go My Own Way" in English and French for Walt Disney’s smash hit High School Musical 2. The track was included as bonus material on the worldwide release of the Blu-ray, DVD and Soundtrack CD. Following that, she collaborated with Grammy Award-winning musicians Herbie Hancock and will.i.am (from The Black Eyed Peas) to record a crossover version of the swing era hit "Stompin' at the Savoy". It was released on Kareem Abdul-Jabbar's audio book, On the Shoulders of Giants. In September 2008, Yanofsky released her first full-length album, a live CD/DVD concert package entitled Ella... Of Thee I Swing. Supported by her production company, A440 Entertainment and distributed in Canada and Japan by Universal Music, it garnered critical acclaim and earned her two Juno Award nominations in 2009: 'New Artist of the Year' and 'Vocal Jazz Album of the Year'. She also won 'Favourite Jazz Artist' at the 2009 Canadian Independent Music Awards. Songwriters Stephan Moccio and Alan Frew chose Yanofsky to sing CTV’s broadcast theme for the 2010 Winter Olympics, "I Believe.” Released in January 2010 with an accompanying music video, the song was played throughout the Olympics on all of CTV’s media partners. "I Believe" reached number one on the Canadian Hot 100 on the week of February 27, 2010. This made her the first Canadian artist to have a number one song on that chart since "Girlfriend" by Avril Lavigne topped the chart in 2007. The song was certified “Quadruple Platinum” for digital downloads in April 2010. Yanofsky recorded her first studio album, Nikki, with 14-time Grammy Award-winning producer Phil Ramone. Along with the album-release of "I Believe", it includes some of Yanofsky’s first original works—writing in collaboration with Jesse Harris (of Norah Jones fame) as well as fellow Canadian songwriters Ron Sexsmith and Feist. It was released in April 2010 by Decca Records and was supported by an international tour. Nikki earned a Juno nomination for "Vocal Jazz Album of the Year" and won Nikki the WAVE Smooth Jazz Award for "Female Vocalist of the Year." A jazz recording in 2011 of popular Disney songs titled, Disney Jazz Vol. 1: Everybody Wants To Be a Cat included the song, It's a Small World which was sung by Yanofsky. Other jazz artists on the album included Esperanza Spalding, Roy Hargrove, Dave Brubeck, Joshua Redman, and Alfredo Rodriguez. In early 2013, Yanofsky signed with Quincy Jones Productions, Inc. for worldwide management representation. Yanofsky's second studio album is currently in production. It is being produced by Rob Kleiner. Yanofsky announced on YouTube that the album will be called "Little Secret." The album's Executive Producers are Quincy Jones and Rod Temperton. 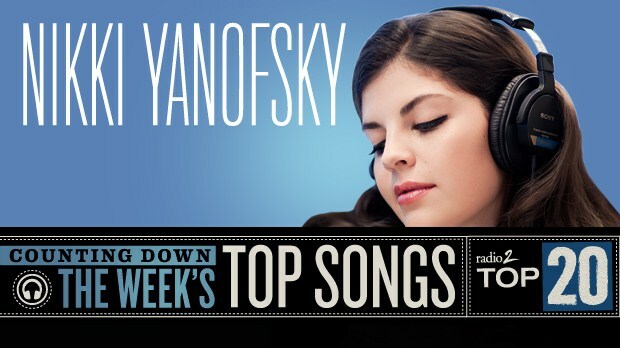 Yanofsky has also recorded a song for Webkinz as one of their Pet of the Month videos. Yanofsky began her professional singing career by performing at the 2006 Montreal International Jazz Festival. Only 12 at the time, this performance made her the youngest performer ever to headline at the festival. She has returned each year since, including a special outdoor performance for the festival’s 30th Anniversary in 2009 and a performance with l'Orchestre Métropolitain in 2011. Her other Canadian festival performances include Toronto (Luminato and Downtown), Ottawa (Jazz and Blues), Vancouver, Victoria, Quebec, Edmonton, Saskatoon, and Fredericton. Her international festival appearances include two visits to The Jamaica Jazz and Blues Festival, several European festivals including the North Sea Jazz Festival and the Montreux Jazz Festival as well as the Ginza International Jazz Festival in Japan where she played to a full house at Tokyo's historic Kabuki-za. On February 8, 2008 – her fourteenth birthday – Nikki kicked off a multi-city tour with famed composer and conductor Marvin Hamlisch at Carnegie Hall. This tour included appearances at other world-class venues such as Avery Fisher Hall, in the Lincoln Center for the Performing Arts, also in New York, as well as The Kennedy Centre in Washington, D.C. This tour included stops in Seattle, San Diego, Milwaukee and her hometown of Montreal. In November 2008 she made her Canadian orchestral debut with the Edmonton Symphony Orchestra, and since then has gone on to sing with the Vancouver Symphony, the Edmonton Symphony and the Calgary Philharmonic. Nikki has also performed with the National Arts Centre Orchestra for a tribute to Oscar Peterson as well as the Saskatoon Symphony Orchestra – both conducted by Canadian pianist, Senator, and Order of Canada officer Tommy Banks. Yanofsky has performed the Canadian and American National Anthems at several sporting events including Montreal Canadiens at the Bell Centre, Los Angeles Lakers at the Staples Center, Florida Panthers at the BankAtlantic Center, a Montreal NASCAR event at Circuit Gilles Villeneuve, the 2008 Grey Cup at Montreal’s Olympic Stadium and the 2010 Winter Olympics Opening Ceremony in Vancouver, BC, Canada. With Herbie Hancock on piano, Nikki sang "On A Clear Day You Can See Forever" at the 2011 MusiCares Person of the Year awards honouring Barbra Streisand. MusiCares is the foundation arm of Grammy.org, the organization responsible for The Grammy Awards. Other interesting venues where Yanofsky has performed are the Bell Centre in Montreal for both an appearance with Wyclef Jean as well as a solo performance at UNICEF’s Unite Against Aids benefit and the Air Canada Centre in Toronto for WE Day. She also performed a private concert for The Globe and Mail in front of the Library of Celsus at the 2000-year-old Ruins of Ephesus in Turkey. In 2010 and 2011, Nikki toured extensively through Canada the United States and Europe. Her latest tour was a 9-city tour of France which included a performance at Toulouse's Halle aux Grains and culminated with a sold-out show at the legendary Olympia Theatre in Paris. Nikki toured with jazz luminaries, Dianne Reeves and Jane Monheit in mid-2011. They were billed as "Larry Rosen's Jazz Roots - Three Generations of Divas". Nikki performed as the opening act for the 2012 Canadian tour of acclaimed international singing quartet, Il Divo. Yanofsky was a guest performer at the all-star tribute to Carole King at the Dolby Theatre in L.A. on Dec. 4, 2012. Other performers included Katy Perry, Alicia Keys, John Legend, Vince Gill, and Amy Grant. The show was hosted by Jack Nicholson, Quincy Jones and Danny DeVito. Nikki joined Jason Mraz on stage for a duet of his hit song "Lucky" at the Molson Canadian Amphitheatre in Toronto on September 9, 2012. On April 13, 2013, Nikki and Stevie Wonder sang together "Let The Good Times Roll[disambiguation needed]" at the MGM Grand Garden Arena in Las Vegas. The star-studded event was a night honouring the joint 80th birthday celebration of Quincy Jones and Sir Michael Caine with all proceeds going to the Cleveland Clinic Lou Ruvo Center for Brain Health. Other stars performing that evening included Bono, Carlos Santana, Herbie Hancock, Jennifer Hudson, Patti Austin, James Ingram, Siedah Garrett, BeBe Winans, Will.i.am, Jordin Sparks, and Snoop Lion. The Little Secret Tour began on June 21, 2013 promoting Nikki's newest album to be released in April 2014. Yanofsky has appeared on most major Canadian television stations including CTV (Canada AM, eTalk), CBC (The National), Global (ET Canada), MuchMusic (MuchOnDemand), Radio-Canada (Tout le monde en parle) Télé-Québec (Belle et Bum), and TVA (On n’a pas toute la soirée). She has also appeared as a featured artist on YTV’s The Next Star. She also can be seen with Wyclef Jean singing and performing the opening sequence to The Children’s Television Workshop’s revival of their hit show, The Electric Company. On December 31, 2009, NBC Nightly News anchor Brian Williams interviewed Yanofsky. She has also appeared on the KTLA morning show in Los Angeles as well as being the first crossover artist on PBS’ youth talent showcase From the Top which is filmed and performed in Carnegie Hall in New York City. Nikki’s 2010 live DVD Live in Montreal was broadcast on many PBS affiliates throughout the United States as part of their funding drive for 2010. Nikki also recorded a concert in front of a live studio audience for Bravo (Canada) as part of their Live at the Rehearsal Hall series. It was broadcast several times throughout 2011. Nikki supplied the singing voice for Dorothy in the 2011 release of Tom and Jerry and the Wizard of Oz. In 2008, Yanofsky received the Outstanding Youth in Philanthropy award from the Quebec Chapter of The Association of Fundraising Professionals. Over her career, she has helped raise over $10 Million for local, national and international charities. She is currently associated with The Montreal Children’s Hospital, The Children’s Wish Foundation, and MusiCounts. She has also lent her voice to oneXone, Leave Out Violence Everywhere (L.O.V.E. ), and ORT. Nikki sang a solo part on the remake of K'naan's song "Wavin' Flag" performed by Young Artists for Haiti. This song was certified Platinum for digital downloads in April 2010 and all of the proceeds from the single went to charities. In October 2010, Nikki was awarded the first ever Allan Slaight Award by Canada's Walk of Fame. This award is presented annually to a young Canadian who is making a positive impact in the fields of music, film, literature, visual or performing arts, sports, innovation or philanthropy. In June 2012, Yanofsky created the Nikki Yanofsky/Audio-Technica Scholarships at McGill University in Montreal. The funding was derived from an honorarium she had received for her performance at the 50th anniversary of Audio-Technica, a professional audio equipment company. Yanofsky was born and raised in a "close-knit Jewish family" in Montreal, Quebec Her parents are Elyssa (née Rosenthal) and Richard Yanofsky . She graduated from St. George's School of Montreal.